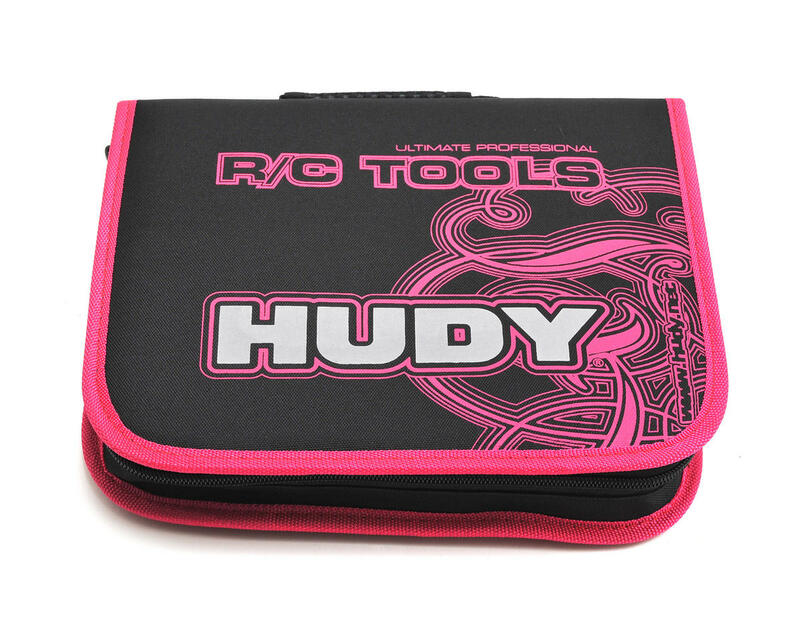 This HUDY profiTOOLS Complete Set features 15 of the most frequently used hand tools for all types and scales of R/C cars, including: Allen wrenches, slotted screwdrivers, Philips screwdrivers, and socket drivers… all nicely packaged in a handy carrying bag. 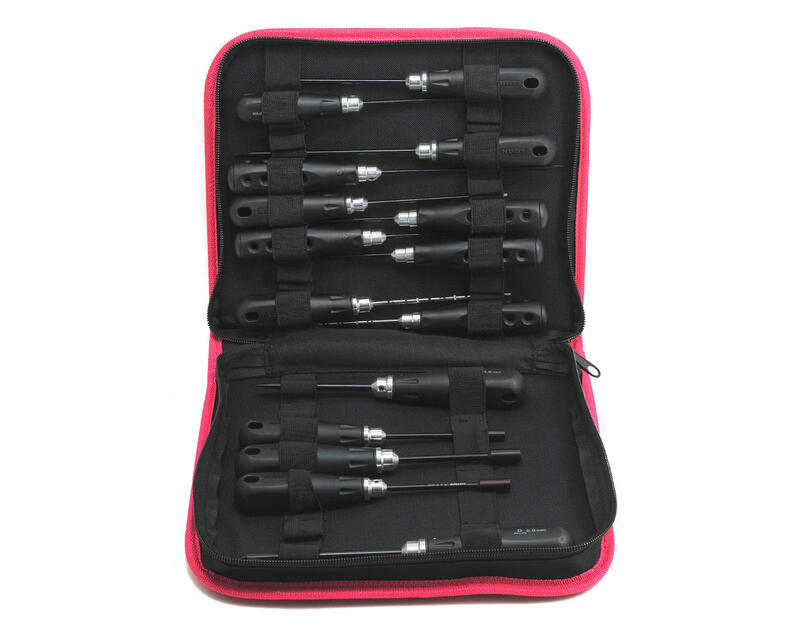 This complete set comes badged with a super low price making it a perfect starting tool set for any hobby enthusiast. HUDY profiTOOLS are based on highly-successful HUDY Professional Tools used by RC factory teams and world champions, and are available in most popular sizes and types. Each tool has a special, CAD-designed tip made of world-renowned HUDY Spring Steel to very precisely fit the corresponding fastener, allowing unmatched torque and long life. Special shaped, comfortable molded handles with machined hubs are designed to allow easy tip exchange. The tool bag features super-strong stretchy Xylan that holds the tools and will keep its stretch ability for a long time. The inside walls feature a strong plastic sheet sewn for reinforcement, ensuring that even when the bag is fully loaded with tools it will not twist or bend. Hudy Basic Set - 9 pcs.